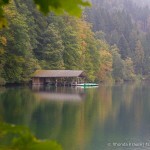 Neuschwanstein Castle: Photo of the Week - Travel? Yes Please! 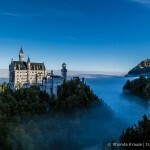 Neuschwanstein Castle is the theatrical creation of King Ludwig II, also known as “mad” Ludwig. 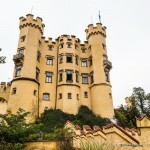 He ordered it to be built in 1869 on a craggy hill in Hohenschwangau, Germany, using his own personal fortune to pay for the project. Unfortunately, King Ludwig died mysteriously at Lake Starnberg in 1886 before the castle’s completion. Neuschwanstein was the inspiration for Disneyland’s Sleeping Beauty Castle and has appeared in several movies.